In the late 1980s, British company Amstrad was enjoying huge success, first with a range of home computers, then some esoteric low-cost business computers, followed by a massively popular range of IBM-compatible PCs. Feeling confident from its growing sales, Amstrad decided to use its expertise to tackle a new market – portable computing. 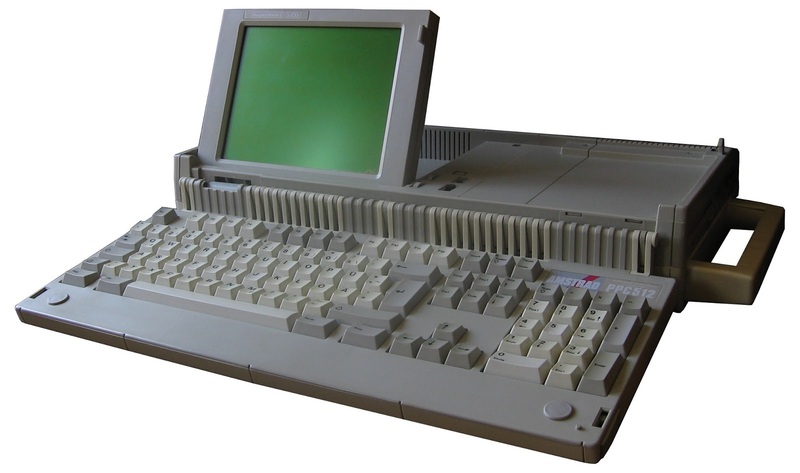 In January 1988, a top-of-the-range portable computer such as the Compaq Portable III would have cost about $5000 or £2700 at the time (and about twice as much in modern money). Amstrad set off to create something that could do much of the same thing, but at a fraction of the cost. 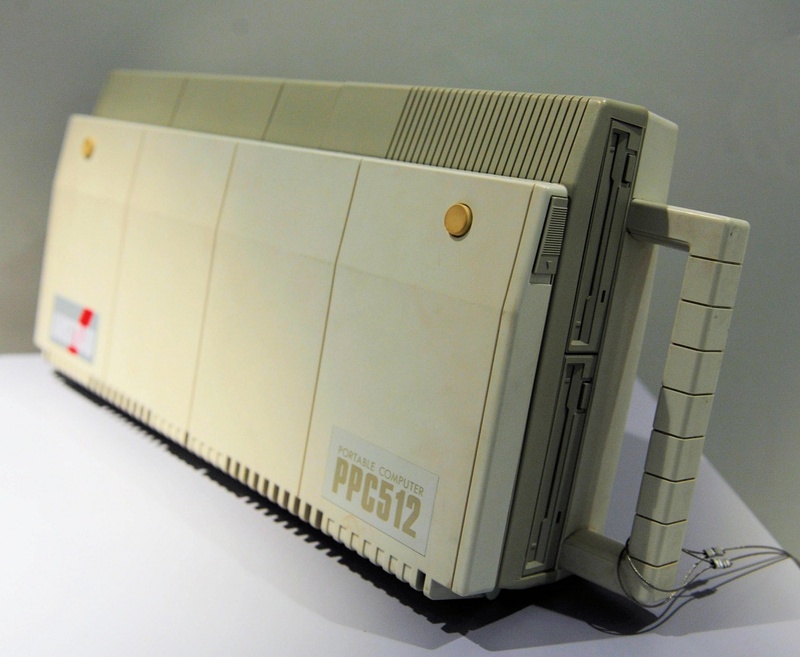 Initially the Amstrad PPC 512 was shown at CES in Las Vegas in January 1988. Costing about a quarter of the price of the Compaq, the PPC 512 was indeed a computer that you could move about from place to place and it even had its own integrated LCD monitor. And it was about a million miles away from what we would consider to be a portable computer today. 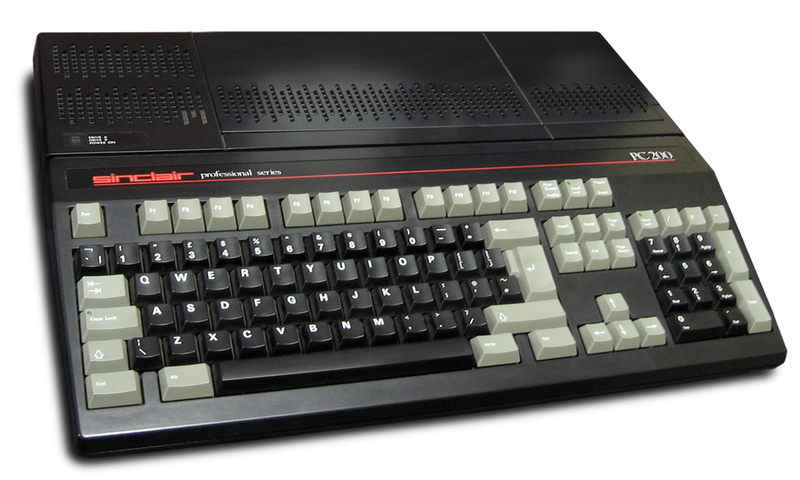 The hardware was largely based on the existing PC1512 and PC1640 desktops, but where they had a compact 85-key keyboard the PPC (portable PC) went for a full 102 keys which is essentially the same full-sized keyboard you’d see on a PC today (with a few extra buttons). Given that you couldn’t even fit a 102-key keyboard to the desktop PCs, it was an odd design decision. Odder still was the tiny 9” LCD screen perched on the very left edge of the case, meaning that whoever was typing on the huge keyboard would always find it annoyingly offset. The display itself was pretty poor even by the crummy standard of late 1980s LCD screens, but you could hook an external CGA monitor up if you wanted. The PPC 512 had 512KB of RAM, the PPC 640 had 640KB and a built-in modem in a darker case. Both machines were available in single or twin-floppy configurations, although frustratingly for Amstrad users these were superior 3.5” 720KB drives rather than the 5.25” 360KB drives on the desktop machines. Power could be provided by an external PSU, a whopping set of 10 C-cells (for one hour’s run-time) or from plugging it into an Amstrad proprietary monitor. Amstrad made a large carrying bag that it would all fit into. An optional expansion box could provide a hard disk and expansion cards, but in those days most people could fit the operating system, application and data on a single floppy with some work. Hard disks were fearsomely expensive in those days as well, and 1980s-era hard disks were notoriously fragile and could suffer catastrophic failures if the heads were not parked prior to transport. Weighing 5.4Kg, the PPC was quite luggable and the built-in modem in the PPC 640 made it very appealing for certain types of customer. But overall the PPC range was not a success despite a creditable attempt to build something useful with the available technology at a price people could afford. An attempt to repackage the PPC as a home computer (the Amstrad PC20 and Sinclair PC200) again came up with an interesting but commercially unsuccessful design. The PPC and its derivatives are rare and quite collectible today, with prices for complete systems running into several hundred pounds. Amstrad tried to break into the portable computing market a couple more times with the ALT in 1990 and ANB in 1991, but ultimately this was one market that they never managed to crack.